A director of one of the UK’s largest supermarket chains has been cleared of all charges relating to fraud and false accounting. Carl Rogberg, 52, Tesco’s former finance director was charged with fraud in 2014 and was accused of being aware that income was being wrongly included in records to meet targets and make the company look in a better financial state than it currently was. Mr. Rogberg was cleared of all the charges at Southwark Crown Court on Wednesday after the Serious Fraud Office (SFO) found no evidence to support the accusations. He, alongside fellow executives Chris Bush and John Scouler faced criminal proceedings in the 2014 accounting scandal that found £1.5 billion wiped off the company’s stock market value. Mr. Rogberg was too ill to attend court last month when the other two executives were cleared of all charges due to a lack of evidence. However, despite all three men being cleared, Tesco agreed to pay a fine of £129 million fine for falsely overstating its income in 2014 in a settlement with the SFO. Despite the positive outcome for all three men, Mr. Rogberg said Tesco failed to properly investigate the alleged fraud “from the outset” and had entered into a Deferred Prosecution Agreement (DPA) “on a completely false basis”. He also suffered health issues as a result from the ongoing trial. A DPA is an option for UK prosecutors which allows them to come to an agreement with a company without having to spend time or money going to trial. This option is rather controversial, however, as it means companies are not convicted, even when there has been wrongdoing on their part, it’s still a rare occurrence in certain cases. Mr. Rodberg suffered a heart attack last year and said that the DPA was a “worthless and dishonest piece of paper with no credibility”. 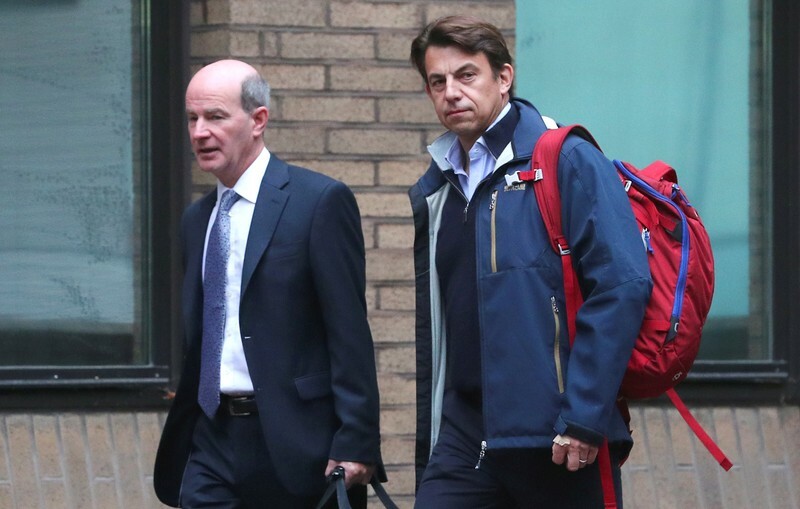 Lawyers for the three men said the case has raised some serious concerns about the SFO’s handling of high-profile fraud investigations and the use of DPAs. Mr. Bush’s lawyer, Ross Dixon from Hickman & Rose, said that the three of them have had their names “besmirched” by the case which “exposes a fundamental unfairness with Deferred Prosecution Agreements and sounds an alarm call for anyone concerned with the proper functioning of the criminal justice system”. Mr. Rogberg also added that this whole “fiasco” had badly damaged employees, shareholders and pension funds by rushing into its investigation with as what was described as a completely wrong judgement. Previous Article← Is the Mainstream Media’s Portrayal of ‘Toxic Masculinity’ Damaging Men’s Mental Health?